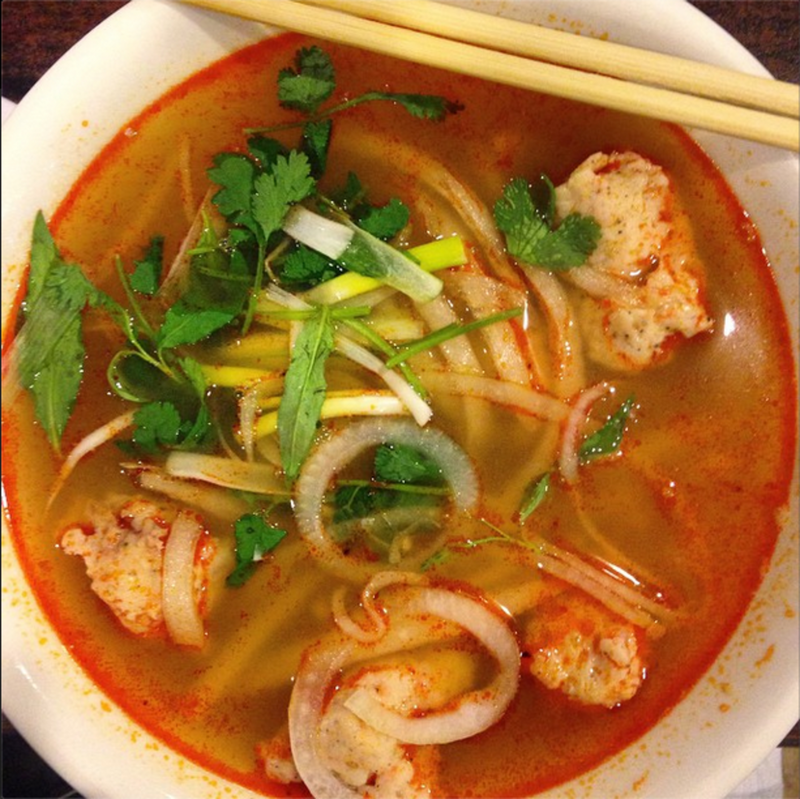 This spicy shrimp soup from Simply Pho will cure what ails you. As we waited for our bowls of soup to arrive at Simply Pho on Monday night, I listened to two of friends—neither native Houstonians—discuss the indignities of having to live in New Orleans, having lived in Houston for many years prior. The lack of breakfast tacos was of chief concern, prompting my best friend, originally from Detroit, to pound the table angrily and demand to know how our other friend, originally from Baton Rouge, was even surviving such a barren culinary wasteland. "What do you eat for breakfast?" 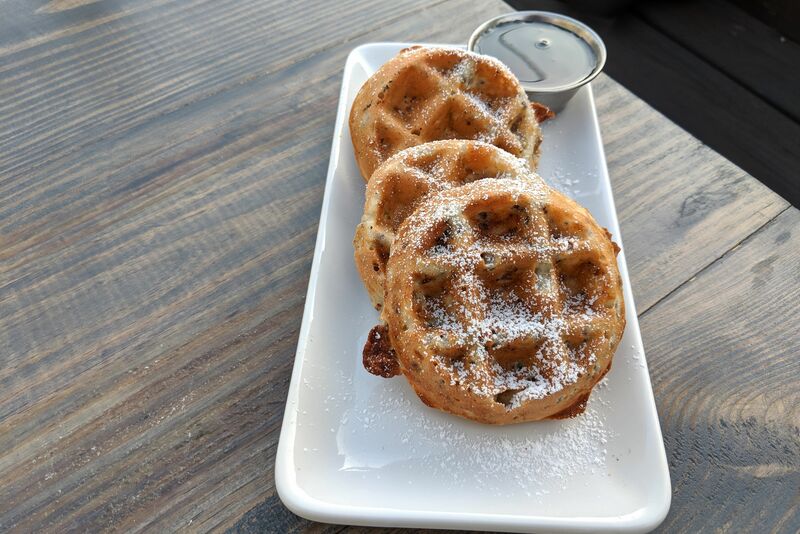 she asked, appalled, as I recalled a time when she had never experienced either a breakfast taco or a kolache, yet another of New Orleans's oversights. 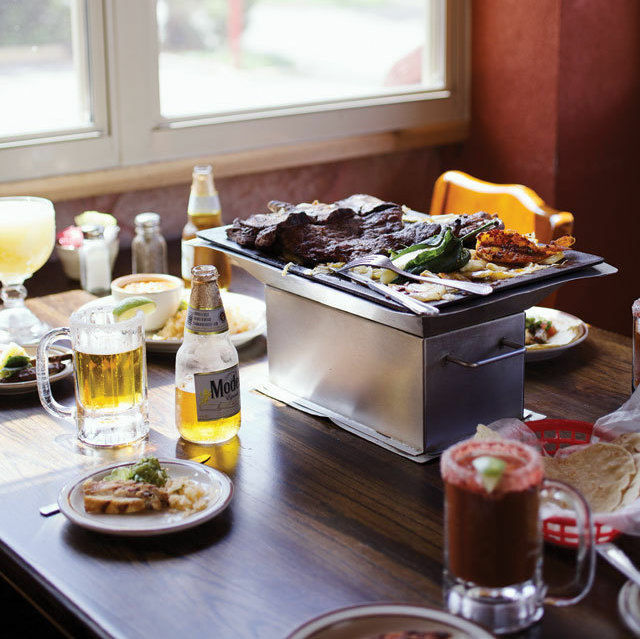 "It's really hard to find good Vietnamese food too," our friend Jason lamented. Even as a new bumper crop of modern Vietnamese restaurants is raising the bar in New Orleans, the fact remains that many Vietnamese left the city for Houston after Hurricane Katrina and have never returned. Suburbs of New Orleans like Harvey and Avodale are still heavily populated by Vietnamese-Americans, but their numbers don't come close to touching Houston's numbers: roughly 35,000 Vietnamese-Americans call our city home. And as a result, we're spoiled rotten when it comes to great Vietnamese joints. It used to be that people like my friend Jason wanted to get Tex-Mex upon returning to Houston; these days, it's Vietnamese. "I was really hoping to get some pho while I was here," he said, digging into a large bowl of the stuff at Simply Pho. It's not the best pho joint in Houston, but it's warm and welcoming and authentic and inexpensive in the same way that Teotihuacan is, to further the Tex-Mex/Vietnamese comparison. 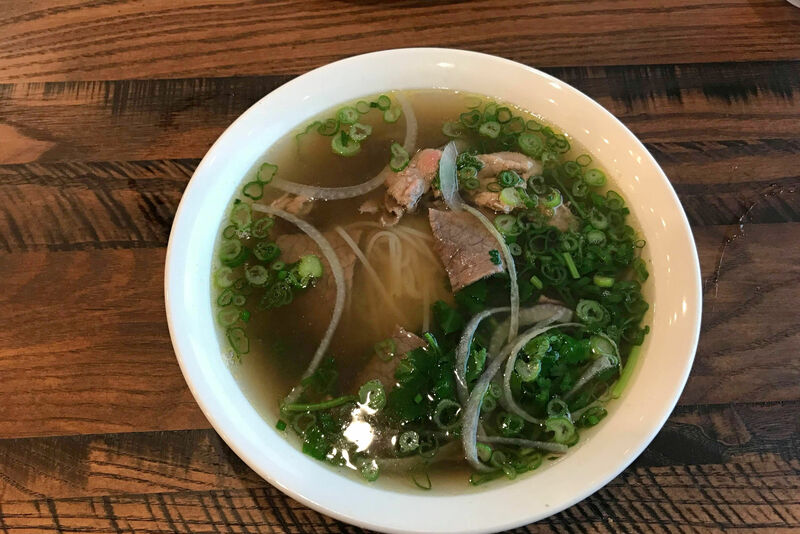 But while Simply Pho may not make the best pho, it's better than what Jason has been finding lately in New Orleans—and, besides that, other items are really the speciality here. 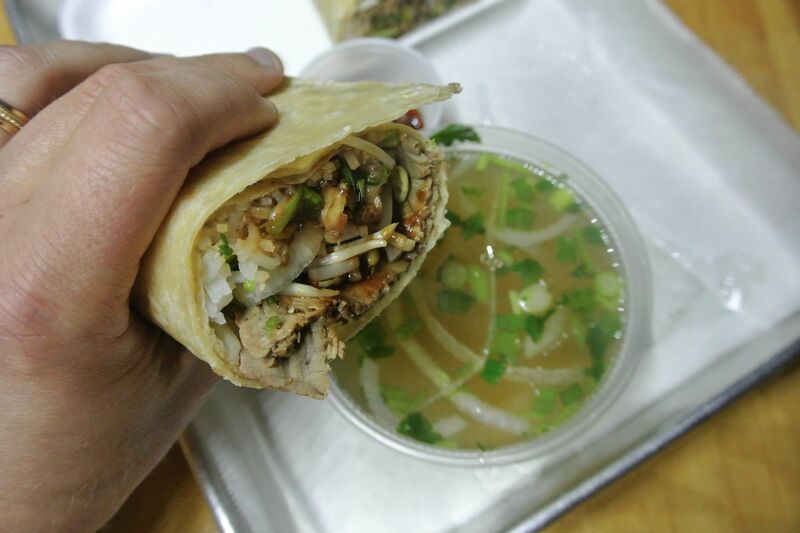 Take the banh canh Hue, for instance. As our Vietnamese restaurants diversify their offerings to keep pace with an ever-educated populace that wants to eat more than banh mi and pho, restaurants like Simply Pho are introducing dishes you don't find as frequently in Houston. Banh canh Hue is a homestyle soup from the Hue area of central Vietnam. 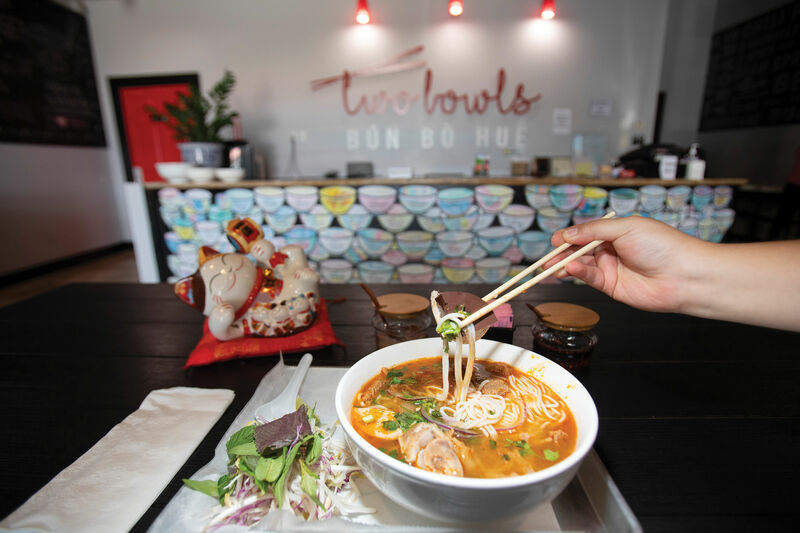 Made with a slightly spicy shrimp stock and filled with plump, peppery balls of shrimp paste, banh canh Hue is a typical comfort food item from the region, which is known for its meatless recipes and heat-laced dishes like bun bo Hue. The shrimp balls have a pleasantly springy texture to them that reminds me of meatballs, while the sweetly briny broth is reminiscent of a salty seaside breeze. Best of all are the banh canh, or noodles, that float underneath and jiggle temptingly when you bring them up out of the soup with your chopsticks. They have the same chewy, fat shape and texture as udon noodles, but are slightly more glutinous (banh canh are made with tapioca and/or rice flour instead of wheat flour)—and therefore even more fun to chew through. During this week of gloomy winter weather, it's dishes like banh canh Hue that I turn to on nippy nights. Not just for that pleasantly soft burn from the broth or the way the noodles feel when you slurp them up, but as a reminder to appreciate the fact that we are living in bountiful times. At least when it comes to Vietnamese food. 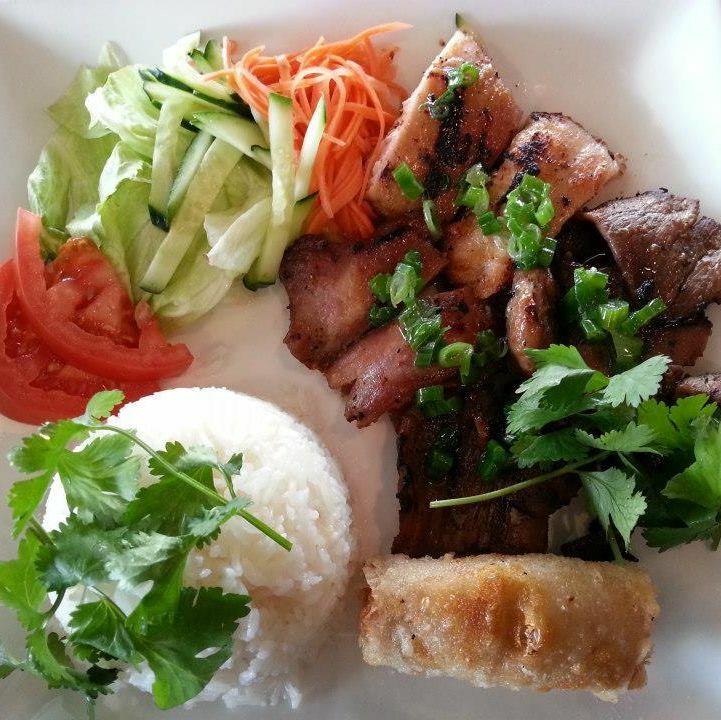 $$ Vietnamese 2929 Milam St.